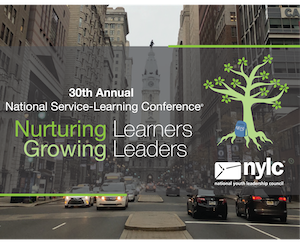 Are you a High School or Middle School teacher interested in taking your students on an international travel program, but find that the cost of the trip is financially challenging for your students? Read more to learn how you can help your high school and/or middle school students raise the funds needed to pay for their international travel experience and make your dream of taking your group of students abroad a reality. This guide is not a quick fix. You and your students are going to need to be committed, dedicated, and ready to work hard for your travel opportunity. It is very important to create a focused and defined plan as many fundraisers need to be planned well in advance. Read through the following ideas with your students and select 5 – 10 fundraising ideas that they are passionate about as well as capable of achieving. Then, get started! 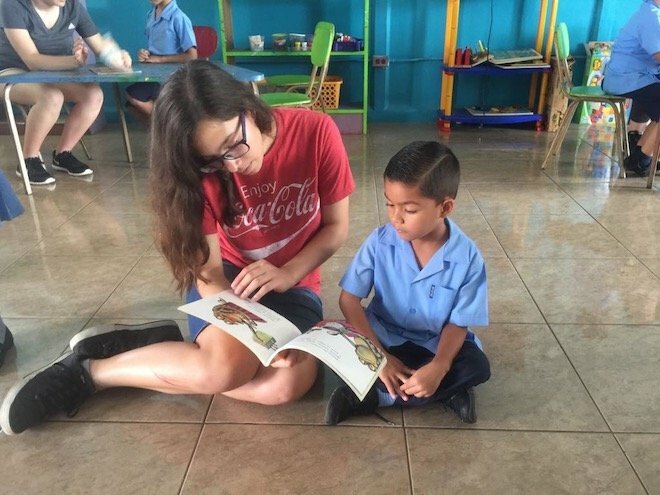 When students are able to personally participate in raising the majority of the funds needed for the international student travel program, the trip is a much more rewarding experience. They become fully invested in every step of the process from the start and appreciate their program and the value of a dollar much more. Students will learn lifelong administrative, fundraising, teamwork, and entrepreneurial skills that they can continue to develop and to apply throughout their lives. In order to begin, you and your students need to create a well-defined plan. We suggest you diversify your fundraising efforts and choose ideas from each of the different “Levels of Involvement” listed below. 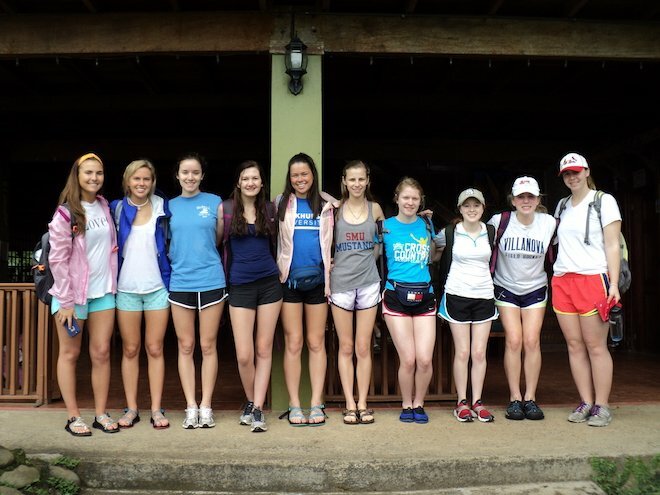 Costa Rica Explorations has partnered with both middle schools as well as high schools who have been able to raise all of their needed student program tuition and airfare through pure fundraising efforts. We suggest you start one year ahead of your travel date to give you time to raise the money gradually. You and your students should begin by committing to 2 individual goals, 2 school-sponsored and/or local community events, and 1 broad community resource. Below you will find specific ideas for each of the fundraising levels of involvement. Highlight the ones that spark your interest and that seem achievable for you and your students. One of the most significant mentors in my life said to me, “If you want something done a certain way, then do it yourself.” I won’t go into the exact context around this statement, but I will say that I have heard this message repeated within my head throughout my life. To me, my mentor didn’t mean that I can’t ask for support to help me achieve my goals. What she meant is that it is up to you as an individual to identify your goal and have the desire and the drive figure out how to accomplish your goal – basically the need for self-empowerment. Below are suggestions in how you can raise money for your student travel trip on your own. Do you currently hold a job? Some of our high school student travelers have raised all the money needed to cover the cost of their program through an afterschool, weekend, and summer jobs. If you are a middle schooler, that doesn’t mean you can’t raise money through more informal jobs such as chores around the house, helping neighbors, and/or babysitting. You will be surprised to find out that once your family and your friends understand the importance of the educational and personal goals you have set for yourself through your international high school or middle school student travel program, they will be willing to monetarily support you as they are investing in your future. We suggest you create a list of the family members and family friends you would like to reach out to in order to help support you so you can financially achieve your international student travel program. A good goal is a list of 20 individuals. Now, suggest an amount for their donation. Start with $20. If they wish to donate more, then let them know you will take it. If they can only give $1, every penny counts. Make sure you explain how they can donate the money. You could include a pre-stamped and pre-addressed envelope to you that they can mail a check directly to you. If they live nearby, you can coordinate a time to pick up the money. Note: If 20 individuals donate $20 to your trip, you have raised $400 towards your trip. When you sit down to write your letter asking for donations towards your international student travel trip, list the reasons why this trip, this international experience, will enhance your educational career and increase your self-confidence and independence. Make sure to list your personal goals for the trip and explain how their investment in you will help not only your person but the world. Write a personalized letter to each of the people on your list. You can create a template for the letter, but make sure that you personalize it for each individual. Send out the letters with the pre-addressed and stamped envelopes. Once you receive responses, make sure to thank each person individually with a phone call. You can remind those who haven’t responded by giving them a call or sending them a reminder email. Make sure to send a postcard or follow up with a letter after your international travel experience reflecting upon your learnings and thanking them for their support. Without their support, your experience would not have become a reality. For your birthday this year as well as other holidays in which you might receive gifts from friends or family members, ask if they could make a monetary donation towards your trip. I just had a middle school host teacher let me know that she had her 6th graders open a savings account 3 years ago and commit to saving $1 per day towards an international travel program that they would go on together in 8th grade. This is just $30 / month. Students did chores around the house, saved birthday and holiday money, babysat, etc. Students who committed to saving $1 per day have now saved close to $900. It is amazing how little amounts can add up. Start saving now! When I was a 4th-grade teacher, I lead a unit in Entrepreneurship to prepare my students for our school’s Annual Market Day. Each student needed to develop a service or item to sell at Market Day. We talked first about what is their passion and what are their abilities. If they needed money upfront, who could they ask for a loan? We talk about the cost of materials and the price for the final item. We talked about profits and perceived value and valuing the cost of labor. We talked about marketing and sales. We talked about quality vs quantity. We talked about potential clients and their needs. Some students raised $100s of dollars on Market Day, others broke even, some actually lost money. As a collective group, however, we raised close to $1,000. Remember that these were 4th graders and this was preparing for only 1 day of sales within a K-8 school. Think about what you could achieve as a middle school student or high school student if you started your own business! Once you have formed a solid group of committed students who are dedicated to raising funds in order to pay for their international student travel experience, you will need to organize yourselves and commit to some group fundraising activities. You will be the leaders and organizers of these activities, but that doesn’t mean you have to do everything on your own. What it does mean is that you need to define your goals, allocate jobs, commit to your part of the work, and hold each other accountable. It is not fair that only a few members are doing all the work for the group. Make it be a team effort! These pre-trip activities help your group bond before their travels together. First, you have to decide what fundraising activities you would like to commit to. We suggest using your local communities as a resource, specifically your School Community and your Local Neighborhood or City Community. Before embarking on any Fundraising Event, you will always need to check in with the school administration or community leaders for permission. Many times they are extremely receptive and eager to support and to help your cause. Come prepared with a defined plan, the more details the better, and be open to their advice and suggestions. Dress and act professionally. One month in advance advertise to students that there will be a flower or a chocolate sale. You will need to price out bulk flower prices and/or chocolate prices or you can coordinate your own baked good items to pass out. Having students sign up ahead of time will help you coordinate the logistics and order the perfect amount of flowers/chocolates/baked goods, so you don’t waste any products. Students who sign up will be able to send a flower or chocolate to a friend on Valentine’s Day. Your group will coordinate the delivery of the flowers/chocolates. Each student who signs up will need to write the name, grade, and classroom of the designated student as well as a small personalized message. Plan a fall festival at your school that is filled with a variety of activities. Your group could help plan the entire event or take on a few of the activity stations. You will have to decide if each activity has a specific cost or if you will charge general admission. This most likely should be coordinated with the Parent Association and/or the Student Government. Activity ideas could be: a Cake Walk, Pumpkin Decorating Contest, Bobbing for Apples, Donut on a String, Bounce Houses, Food Sales, Face Painting, Photo Booth with scarecrows and hay bales, Wagon Rides – Headless Horseman, Haunted House, etc. Before Winter Break many students and families are looking to purchase unique presents for friends and family. You could organize a Holiday Market Day and ask for student vendors to submit applications and a small fee to have booth space. You could sell your own services and/or products during this time as well. Invite local artists to join in the festivities. Have live music – Make it an event! Make sure to advertise well in advance by printing out or email advertisements for the event. Use social media as well! Other holidays are St. Patrick’s Day, Pi Day, Mother’s and Father’s Day, Thanksgiving, and more! For schools who have uniforms, this is a great opportunity for your classmates to support your international travel experience. We have had two different high schools try this fundraiser with great success. One school raised over $900 and the other raised $500. You could charge students $2 for the ability to dress down from their uniform. Because Dress Down Day was an all-school event, the money raised for this event was designated to directly cover the group’s service project donation. 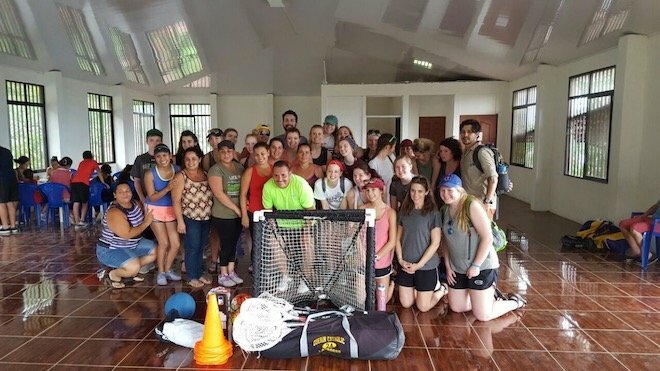 At Costa Rica Explorations, we use 100% of the funds allocated towards the service donation for the group’s service project to cover the expense of materials, any specialized services such as an electrician or construction worker, and to purchase donations such as wheelchairs, school supplies, and/or food donations. Another partner school holds an Annual Latin Dance around Cinco de Mayo. This is a wonderful idea to tie the fundraiser into a Latin-based theme as our student groups will be taking their international student travel trip to Costa Rica. They hired a DJ, had Latin-themed food, and of course a piñata. They even hired a salsa instructor to lead classes and give everyone the basic steps so that they can participate in the baile! Have the school community bring donations in for an All-School Garage Sale. Your committed student travel group will be in charge of organizing and pricing out the items as well as running the event. A good time to schedule the event is right at pick up or coordinate it around another school event that is happening, such as back-to-school night, parent-teacher conferences, a sporting event, music or art show. Make sure you have called other charity organization such as The American Red Cross / The Salvation Army to see if they can come and pick up unsold items. Who doesn’t like BINGO? Many local businesses are open to donating an item of gift card for a local BINGO or Raffle. They get publicity and you get a BINGO or Raffle prize. You will need to plan in advance for this event as you can presell BINGO cards and Raffle tickets and also prepare to have food and drink sales at the event. Help organize a 5K Run and a portion of the proceeds could go towards your international student travel fundraising. Do you are any of your friends know members of a local band that charge a cover to hear them play? Ask if they will sponsor you for one of their shows – a portion of their proceeds will go towards your international student travel program. There are other avenues in which our student travel groups have raised funds through internet platforms, partnerships with local businesses as well as through scholarships and grants. Crowdfunding Platforms: School Partners have created Fundraising Campaigns through the GoFundMe.com platform or other crowdfunding platforms. These platforms make it easy for you to spread the word through email and social media. Local Restaurants like Chipotle Mexican Grill partners with groups to help them raise funds. You can host an event at Chipotle and they will give you 33% of the proceeds. Follow this link to find out more. Search for Scholarships and Grants for student travel. Work with your school counselor to search for programs that will sponsor your international student travel. A few resources would be local rotary clubs, local educational foundations and other national organizations such as the STYA foundation. There are funds and supporters out there. Take the first step forward and start searching! If You are Committed and Plan Ahead – There’s No Excuse! Our hope is that you and your students are able to use this blog as a resource and an inspiration to start raising money for your international student travel program. There really is no excuse not to begin your fundraising efforts, even if it is starting by saving a dollar a day. Start saving now for the opportunity to travel internationally in the near future! Don’t let the price tag of the trip prevent you from participating. 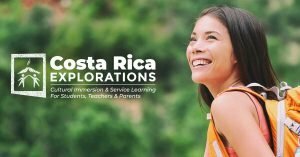 We at Costa Rica Explorations would love to host you and your group of high school students or middle school students on a life-changing cross-cultural, service-based, adventure travel program in Costa Rica. We value the importance of international travel opportunities for all students. Please don’t let the cost of the trip deter your participation. For more information, contact us directly at Costa Rica Explorations to begin planning a trip! 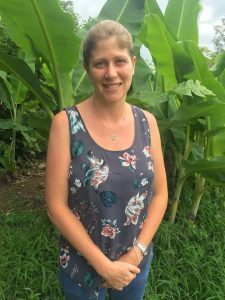 Molly has 10+ years of experience as a classroom teacher and service-learning coordinator planning student trips to Costa Rica, and has lived and worked in Costa Rica for over 15 years. 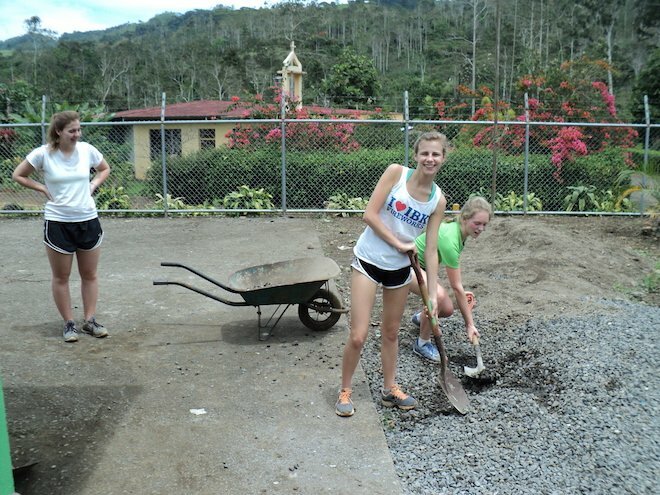 In 2006, she fulfilled a dream of hers and co-founded Costa Rica Explorations, an authentic cultural-immersion, service-based educational student travel program, that continues to be one of the most respected and trusted High School and Middle School student programs offered within Costa Rica.